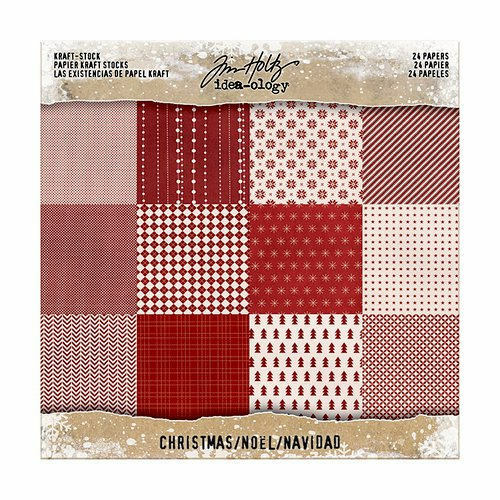 Craft the perfect Christmas with the 8" x 8" Kraft Paper Stash from the Tim Holtz Idea-ology Collection by Advantus. The package includes 24 single sided sheets of kraft cardstock that can be sanded or embossed. There are two pieces each of the 12 designs included.